It doesn’t matter whether this ‘really happened’ or whether Kipling’s early childhood was “really like that.” Biography (which Kipling came to refer to as the “Higher Cannibalism”) has to take account of myth. 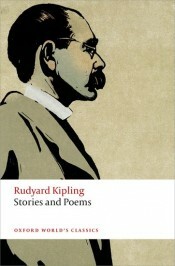 Kipling is offering us this gift, giving himself away in the only way he knows, that of art. Paradise is light and colour, freedom from narrow-mindedness, and the stories and songs of India, “all unforgotten.” What followed? Exile in England: six years in the “House of Desolation,” the boarding-house in Southsea where his parents inexplicably abandoned him, at the age of five, with his three-year-old sister, for six long years. But that, as Kipling said in one of the most famous of his many catchphrases, is another story. 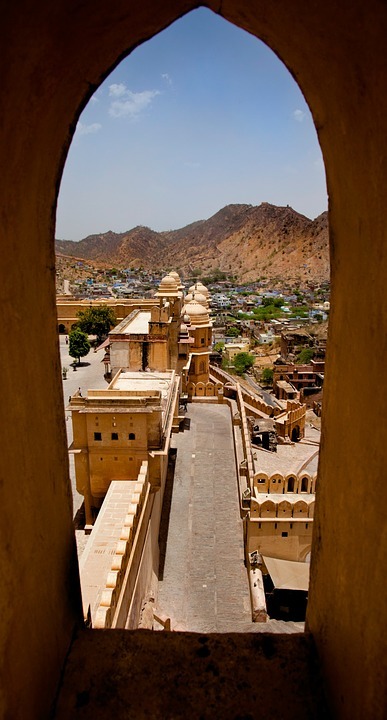 View of a temple from a window, a sight familiar to Kipling in his early years. Image by Paul McGowan, Public Domain via Pixabay. Our evening walks were by the sea in the shadow of palm-groves which, I think, were called the Mahim Woods. When the wind blew the great nuts would tumble, and we fled–my ayah, and my sister in her perambulator–to the safety of the open. I have always felt the menacing darkness of tropical eventides, as I have loved the voices of night-winds through palm or banana leaves, and the song of the tree-frogs. There were far-going Arab dhows on the pearly waters, and gaily dressed Parsees wading out to worship the sunset. Of their creed I knew nothing, nor did I know that near our little house on the Bombay Esplanade were the Towers of Silence, where their Dead are exposed to the waiting vultures on the rim of the towers, who scuffle and spread wings when they see the bearers of the Dead below. I did not understand my Mother’s distress when she found ‘a child’s hand’ in our garden, and said I was not to ask questions about it. I wanted to see that child’s hand. But my ayah told me. In the afternoon heats before we took our sleep, she or Meeta would tell us stories and Indian nursery songs all unforgotten, and we were sent into the dining-room after we had been dressed, with the caution ‘Speak English now to Papa and Mamma.’ So one spoke ‘English,’ haltingly translated out of the vernacular idiom that one thought and dreamed in. Daniel Karlin has taught at University College London, Boston University and the University Sheffield before taking up his current post at the University of Bristol. He has published widely in Victorian literature, including editions of Robert Browning and books includingBrowning's Hatreds , Proust's English, and The Figure of the Singer. He has edited Edward FitzGerald's Rubáiyát of Omar Khayyám for Oxford World's Classics.